German-born, London-based post-minimalist composer Max Richter was in town this week to promote his score for the new Mary Queen of Scots starring Saoirse Ronan and Margot Robbie. Richter, who divides his time equally between concert music (The Blue Notebooks, Sleep) and media music (Miss Sloane, The Leftovers), is thoughtful and articulate, as he demonstrated during a Q&A I did with him after a screening of the film Tuesday night at Universal Studios. 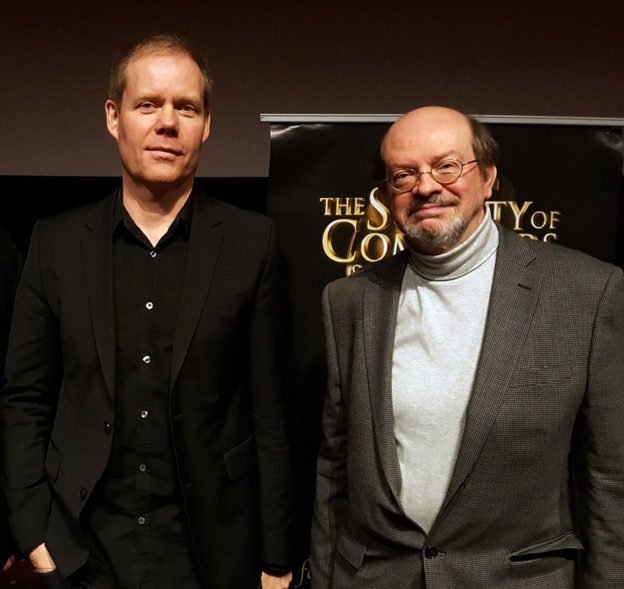 The Society of Composers & Lyricists sponsored the sold-out event.